Palencia lies on the west bank of the Intracoastal Waterway, across from the 12, 000-acre Guana River State Park and world famous Ponte Vedra Beach. Exceptional schools, beautiful year-round weather, a lush natural landscape and an endless variety of cultural and recreational opportunities make Palencia an appealing place to live, explore and build cherished family memories. The unique system of interconnected boardwalks, along with abundant walking and biking trails, encourage every resident to explore Palencia's many amenities from its neighborhood parks to the wetlands and marshes of the Tolomato River. The Palencia Amenities Include: Guard gated; golf clubhouse with 33, 000 Sq. Ft. of dining, shopping and banquet facilities; 18-hole Championship Arthur Hills Golf Course, 72-par; full-service golf pro-shop; ten lighted Hydro-Grid clay tennis courts; basketball court, soccer field and three baseball diamonds; “pirate” playground and picnic pavilion; four swimming pools - including one with a two-story slide and one with 8 lanes; state-of-the-art fitness facility with fitness classes and spa services; eight miles of multi-use paths; over 300 acres of conservation areas. Palencia offers five thoughtfully designed home designs ideal for Florida indoor/outdoor living. 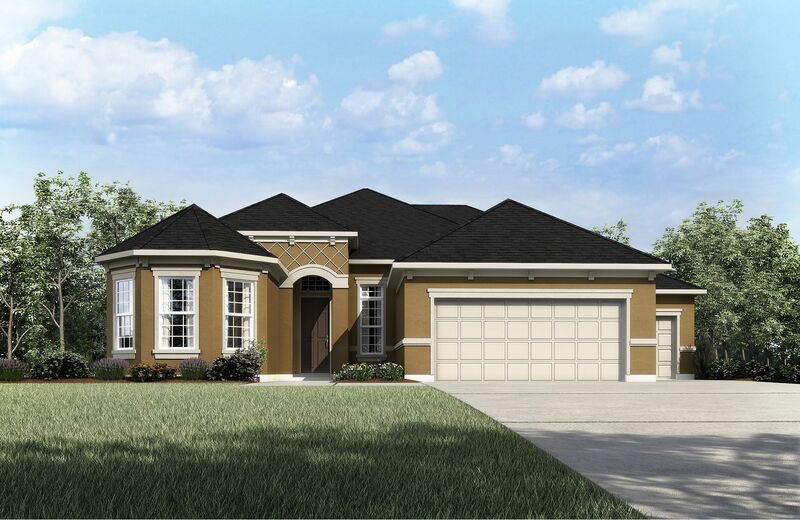 These homes feature first and second floor owner's suites with four to five bedrooms, three to five and a half baths and three car garages. These elegantly appointed, single and two story homes range from 3, 274 to 4, 575 sq. ft.